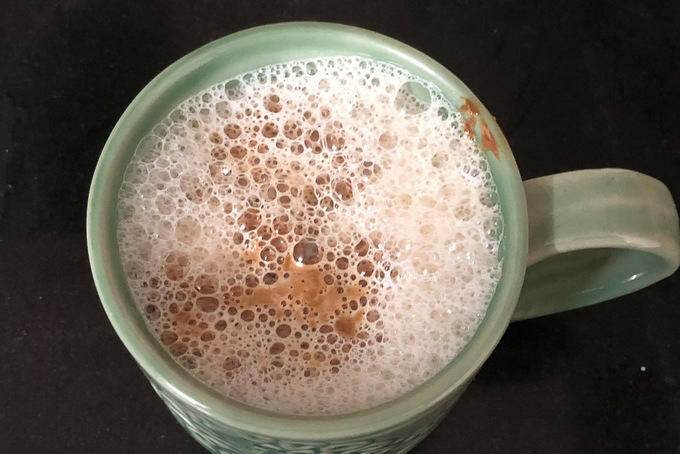 Indian Style Cappuccino is more of a homely attempt to make a warm cup of basic coffee with lots of foam on top just like the one you get in a fancy coffee shop or in Indian marriages. 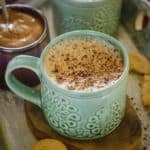 Here is how to make beaten coffee or cappuccino coffee at home. The thing about coffee is that it has to be like perfect! A sip of coffee and you realize whether it is awesomely made or not, right? Being a big time coffee fan, I tend to drink coffee often times during any week and it definitely revitalises me for ideating better recipes, for thinking more creatively. Hence, I can never compromise on the kind of coffee that I drink. Though I prefer having my coffee piping hot, sometimes, for a change, its chilled variations like Vietnamese Iced Coffee, Nutella Iced Coffee also suffice and my family loves having them as well. But, with winter at its full swing, a cup of hot coffee is what is keeping me going. 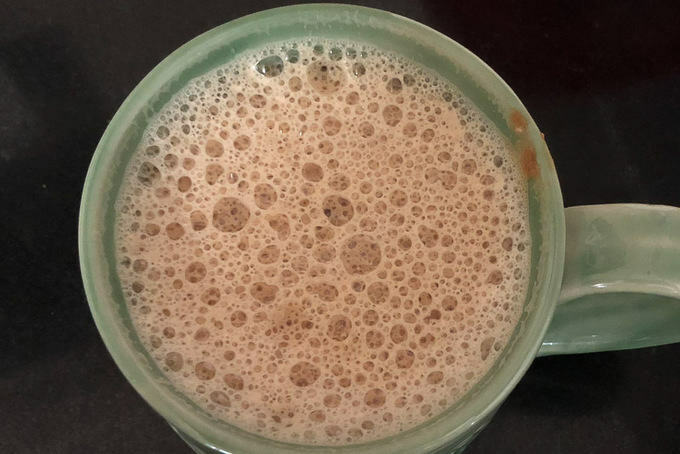 And today, I made Indian Beaten Coffee with milk and here is how to make Coffee at home. 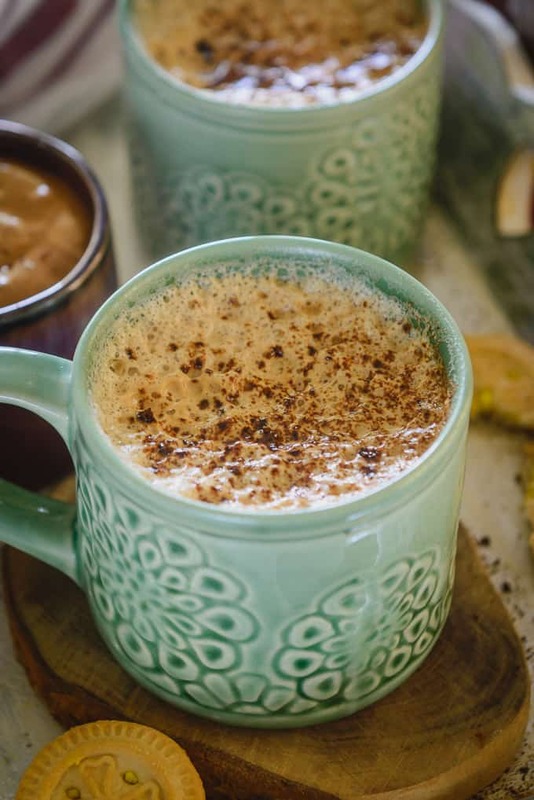 Indian Style Cappuccino Coffee is more of a homely attempt to make a warm cup of basic coffee with milk without any elaborate preparation or over the top garnishing. 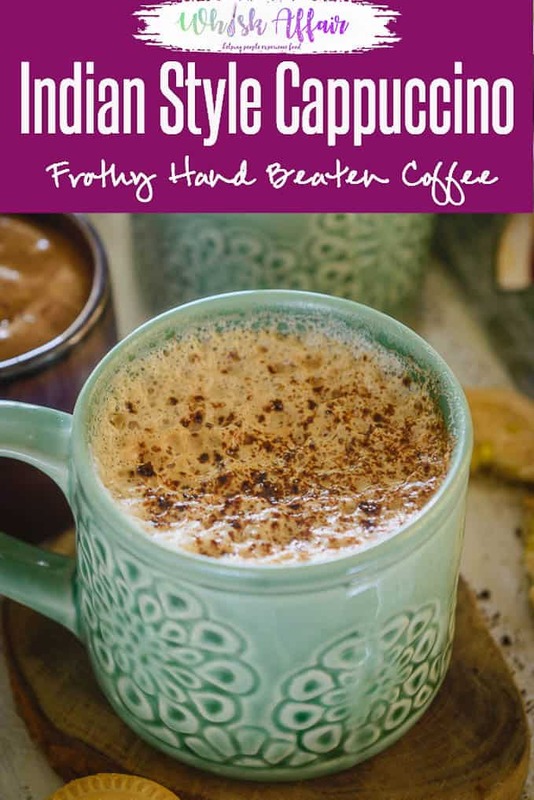 The beauty of this beverage lies in the fact that it is made using just a small hack that completely changes the way Indian Style Cappuccino tastes. How to make Coffee at home? For making Indian coffee, firstly the coffee is nicely beaten with sugar, water; then the mix is made fluffy followed by a pouring of warm milk and that ladies, makes the perfect cup of Indian Style Cappuccino Coffee, trust me! 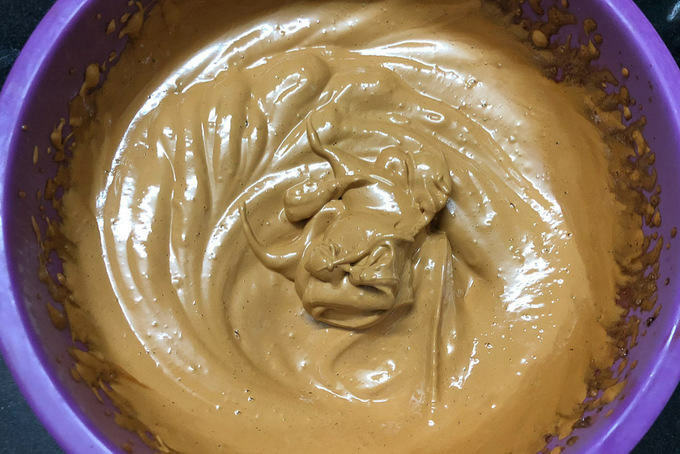 I remember taking turns beating the coffee and sugar mixture using a fork as it is quite an intensive process and not one person can beat it vigorously for such long time until it reaches the desired consistency. But the die hard fan that I am of the this coffee, I figured out a hack and now my coffee is ready in no time without much of an effort. 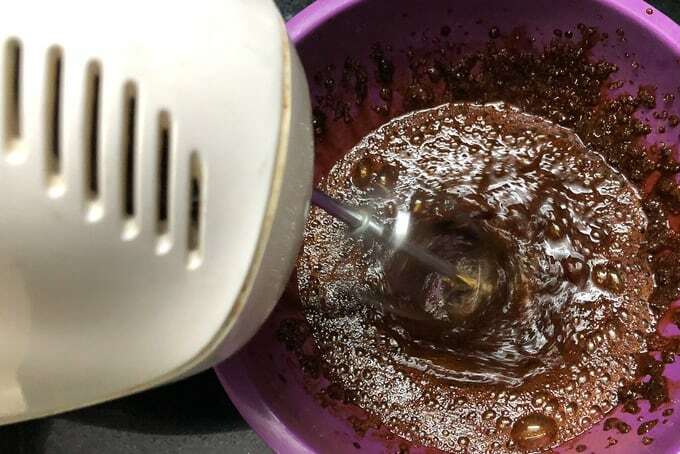 Yes, I use my hand blender to beat my coffee mixture and all it takes is 5 minutes for it to reach the perfect light and foamy consistency and the taste is just perfect. 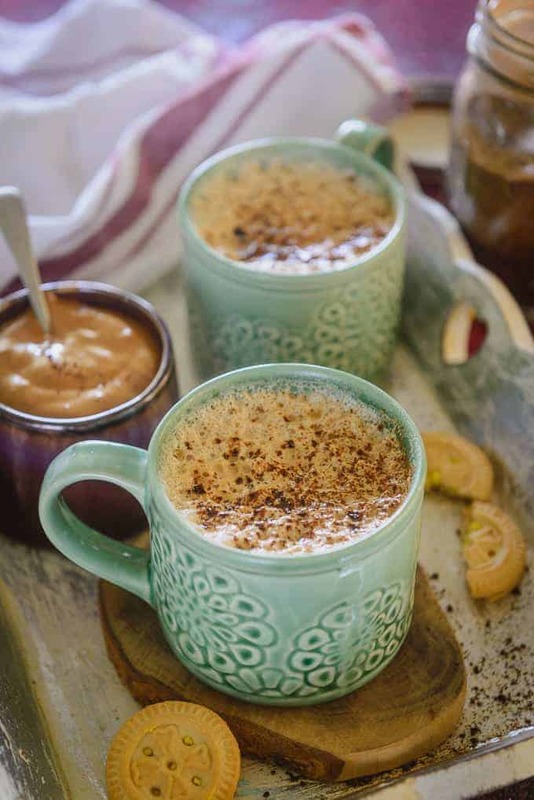 Next time whenever you are making this Indian Style Cappuccino Coffee, use your hand blender and thank me later :). 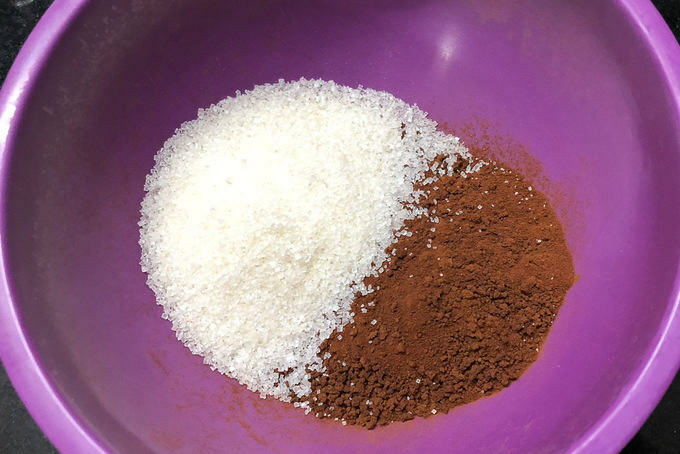 Add instant coffee powder and sugar in a cup. Add 2 tbsp water and beat the coffee and sugar vigorously until it is light and fluffy. It takes about 5-8 minutes of vigorous beating for the coffee to reach this stage. Store the beaten coffee in the refrigerator for upto a week and use as needed. To make the cappuccino, heat milk in a pan. 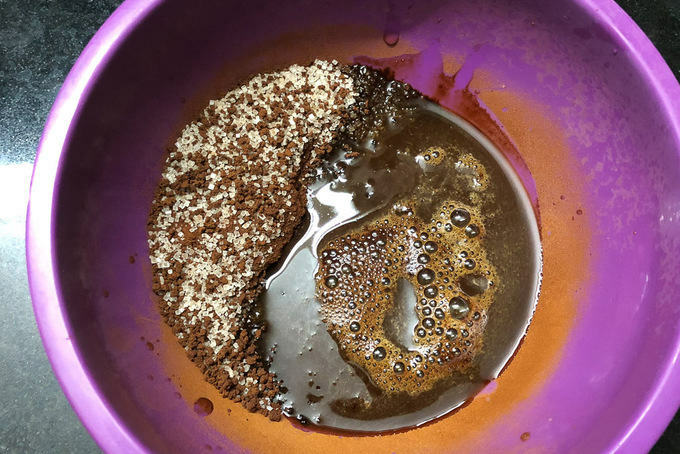 Add a tbsp of beaten coffee mixture in a cup. 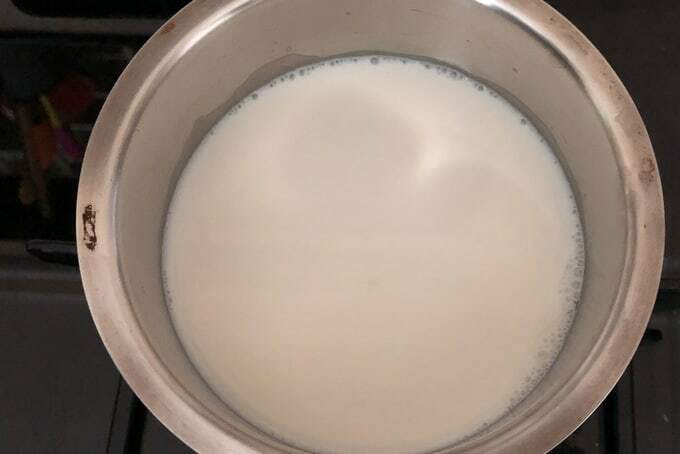 Pour the boiling hot milk over it from a little distance and then mix with a spoon. Add more sugar if required. Sprinkle some coffee powder on top. Serve immediately. Indian Style Cappuccino is more of a homely attempt to make a warm cup of basic coffee. Here is How to make Beaten Coffee. Add a few more drops of water required while beating the coffee. You can make a bigger batch and use a hand blender to beat the coffee and sugar mixture. Sprinkle some coffee powder on top. Lovely shots. I used to make this when I was in India. I stopped adding sugar in my coffee after I moved here. This post brought back a lot of memories with my best friend. Which coffee powder did u use? I used Nescafe, Instant Coffee Powder. Can I use milk instead if water for beating ? I am not sure if adding milk will ket the coffee froth. I would recommended sticking to water while beating the coffee. Delicious!! 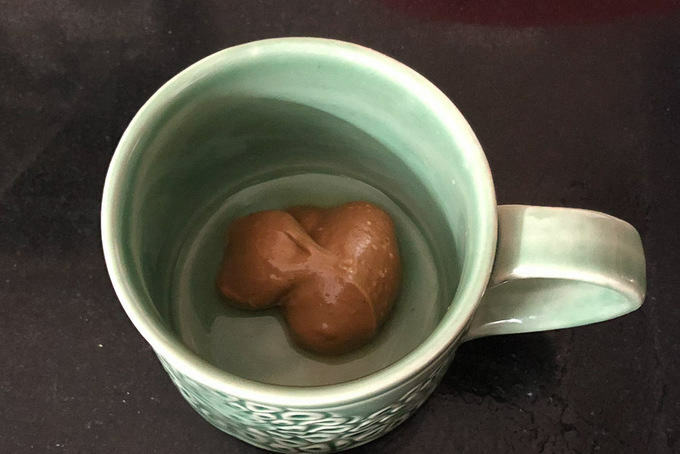 I’ve tried making coffee many ways, but this is my favorite way so far. I will certainly make this again.